#22. Niagara Falls showing the Canadian and American Views 1903. 72 x 120, oil on canvas. not signed. 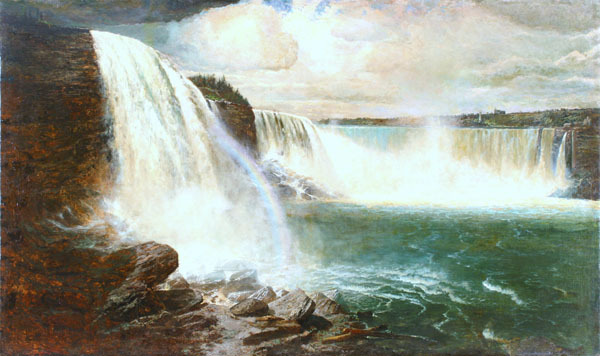 Munger is reported to have been finishing up a large "Niagara" in his Washington D.C. studio at his death and J. Gray Sweeney says this is it. The painting hung in Henrici's Restaurant in Chicago from about 1910 until 1960, It was sold at the 18 Oct 1964 Hanzel Galleries Chicago public auction of the Henrici collection, as lot 33. 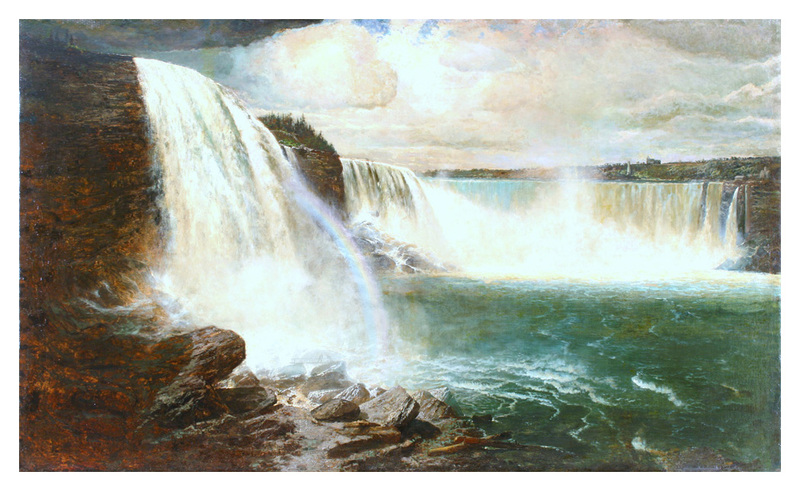 In a private collection since 1980, the painting was acquired by the Tweed Museum of Art, University of Minnesota Duluth, in 2006, using funds donated by Michael and Leslie Schroeder, Microsoft Corporation, Charles Matsch, Roger Carter, Dan and Susan Shogren, and the Alice Tweed Tuohy Foundation Purchase Fund. See Great Lakes Marine Painting of the Nineteenth Century by Sweeney, The Muskegon Museum of Art, MI, 1983. pl. 16, p. 32. QFD 74. IAP 89480006. Image file provided by the Tweed Museum.